The origins of the Gilford Motor Company can be traced back to the post First World War period, when E. B. Horne set up in business to sell former military chassis, principally of Garford manufacture. Many of these chassis were from continental battlefields were they had been left, and Horne imported them to England. Once at his works, a dingy stable yard in Holloway, London, they were completely stripped down and overhauled, the engines were re-conditioned and the completed chassis re-sold. By 1925 the business had been incorporated as E. B. Horne & Company Limited, and, along with his partner V. O. Skinner, Horne decided to manufacture chassis to their own design. 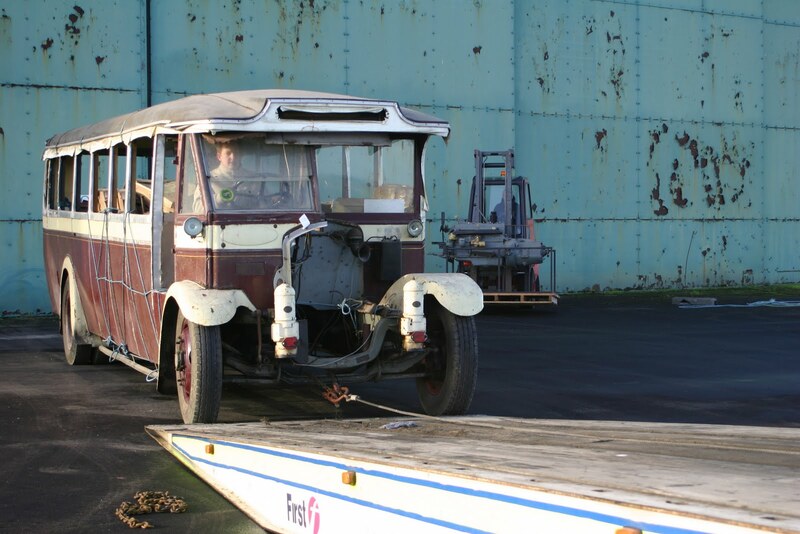 Initially it had been planned to produce a low-loading passenger chassis, but the first production vehicles appeared in May 1925 and were conventional lorry chassis, marketed under the trade name of ‘Gilford’. 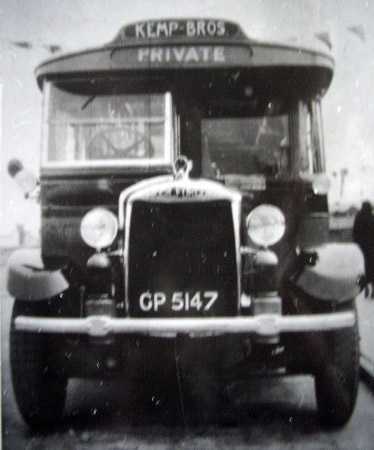 It is presumed that this name was chosen, so as to resemble ‘Garford’, which was a well-tried, reliable chassis. The first three chassis were fitted with American Buda engines, manufactured at the company’s English works at Wembley in Middlesex, although, as with all Gilford models, the engines were described as ‘Gilford’. Throughout their short existence, Gilford never manufactured anything, but assembled ready-made parts supplied by other firms. Sales were initially slow, which was perhaps as well for the Holloway site did not have the capacity for rapid production of chassis. 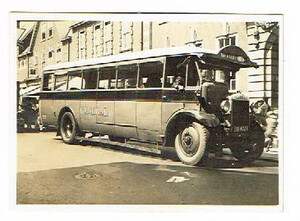 Around October 1925, Horne introduced the drop-frame bus chassis, which immediately became more successful than most of its competitors. 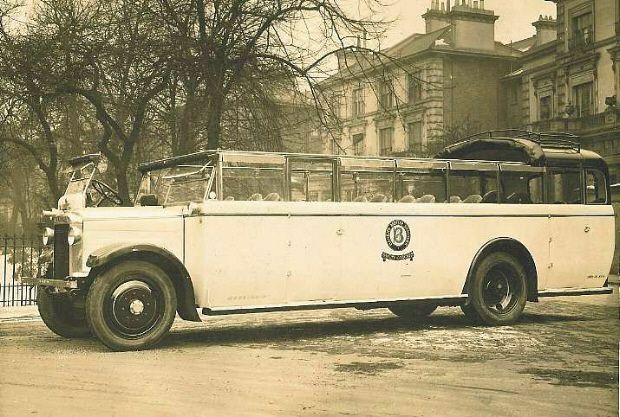 The chassis frame was only 1ft 11ins in height compared to the standard 2ft 9ins on goods chassis, and, with a 15ft wheelbase, the finished vehicle could accommodate up to 26 passengers in comfort. The Buda engine was again the powerhouse, whilst the steering was of the cam and lever type, the best that could be obtained at the time. A new design of radiator was introduced with the name ‘Gilford’ prominent. In 1926 Horne & Company brought out a six-cylinder engined version of their passenger chassis. Advertised as the Lowline Safety Coach (and designated LLC) it completely superseded the four-cylinder model. Buda again manufactured the engines. The wheelbase was available as either 15ft or 16ft 6ins, which resulted in the reclassification of the available models as LL15 and LL166, a designation that persisted on most Gilford models to the end. 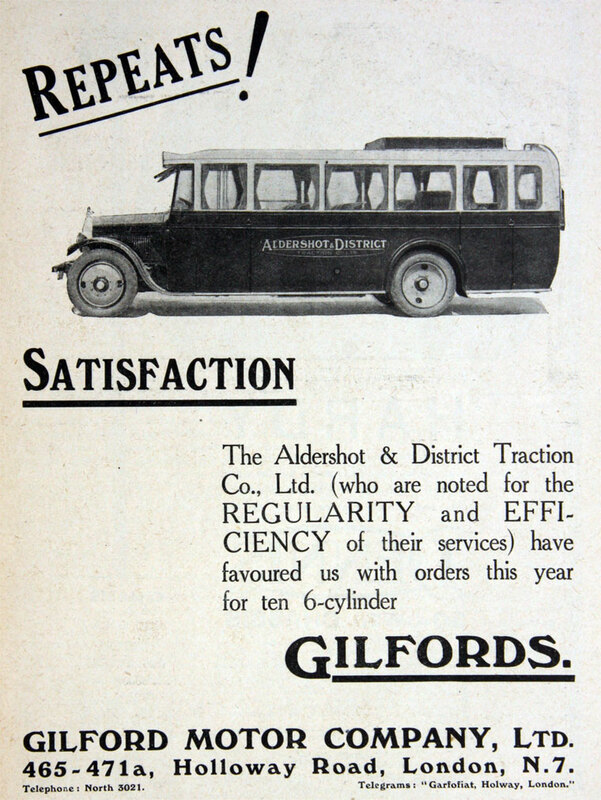 On the 6th November 1926, the Gilford Motor Company Limited was registered, with Horne and Skinner in control. Around this time the country was beginning to come out of a period of depression and the demand for commercial vehicles, and in particular motor coaches, was rising. The Gilford Motor Company was working at full capacity and their name was becoming more widespread and well known in coaching circles, with a reputation for quality and speed. To deal with the sales of new and second-hand vehicles, provincial depots were set up, including one in Belfast, which resulted in an early order for six 30-seaters from Downpatrick Motor Services, and another one in Dublin. With the increasing interest in the company’s vehicles, it became apparent that larger premises were required and on 19th December 1927 the whole of the production was moved to the newly acquired Bellfield Works, in High Wycombe. Shortly after, on the 28th December 1927, Gilford registered a new subsidiary company called Wycombe Motor Bodies Ltd., which fronted their entry into coachbuilding. It, too, had its headquarters at the Bellfield Works. 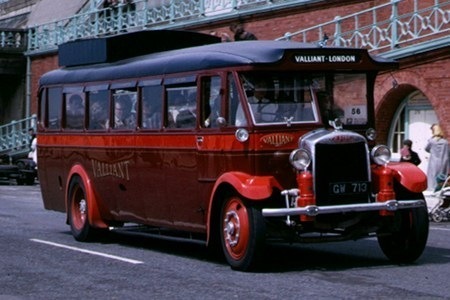 The bodybuilding concern was intended to produce a standard body for each type of chassis and, subsequently, a high proportion of Gilford chassis were fitted with Wycombe bodywork. In order to gain some bodybuilding experience, a number of elderly Dennis chassis belonging to the local Penn Bus Company were re-bodied. All Wycombe bodies (with the exception of just two) were of the wooden-framed type; the first of any new type being completely hand built with jigs being made of the component parts, which were then manufactured by an outside contractor and assembled in the Wycombe works. Bodies were assembled separately from the chassis and were held until a suitable chassis was available before mounting. The whole vehicle was then sent for painting. The vast majority of bodies were finished with cellulose, Wycombe being among the pioneers of this method, instead of the usual paint. In May 1928, Gilford introduced new designs, designated the 15SD and 166SD for the normal control chassis (the SD stood for ‘Standard Drive’, and the numerals represented the wheelbase of either 15ft or 16ft 6ins), or the 15OT and 166OT for the forward control models (OT stood for ‘Over Type’ and were Gilford’s first forward control chassis). The 15ft models retained the Buda engine, but the 16ft 6ins models were equipped with a new 36 hp side-valve engine, produced by the Lycoming Manufacturing Company in America, and was, arguably, the most successful engine used by Gilford. The Wycombe designed bodies for the new range were rather square in design, with a canvas hood option on the normal control models as an alternative to the fixed roof with sliding section and quite a number of the earlier models were fitted in this way. Towards the end of 1928, Gilford introduced a six-wheel chassis, a design that was becoming popular at the time. The 6WOT (6-Wheel Over Type) did not sell in any great quantity, but was once again fitted with an American manufactured engine. The six-cylinder side-valve unit was built in the USA by the Wisconsin Motor Company, but it was fitted to the 6WOT without modification, resulting in excess heat from the exhaust manifold being transmitted to the drivers cab. 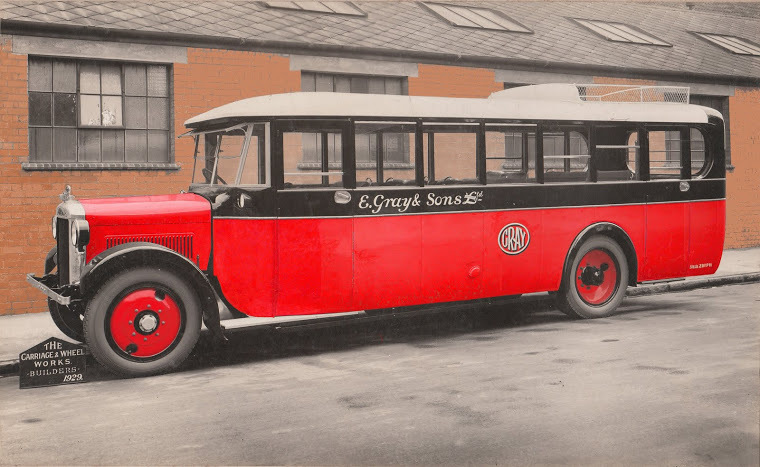 In the spring of 1929 the 15SD model was discontinued in favour of a smaller chassis (the CP6), with 13ft 3ins wheelbase. Later, in November of that year, Gilford took a stand at the 1929 Commercial Motor Exhibition with a view to introducing their new range of chassis. The new vehicles, which were broadly a development of the 166OT and 166SD models, had a larger wheelbase of 16ft 8ins and were, consequently, designated 168OT and 168SD. 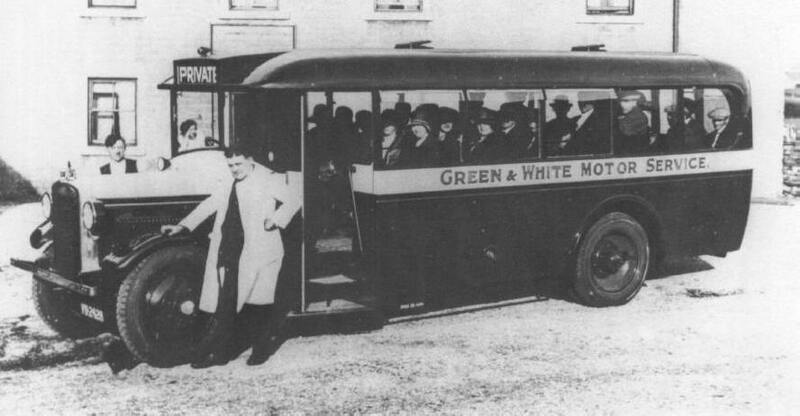 At the same time Gilford introduced their first double-deck vehicle, with a wheelbase of 16ft 3ins the model was designated the 163DOT (Double-deck Over Type). The 163DOT was bodied by Beadle with a lowbridge 50-seat body with sunken side gangways on either side of the upper saloon. 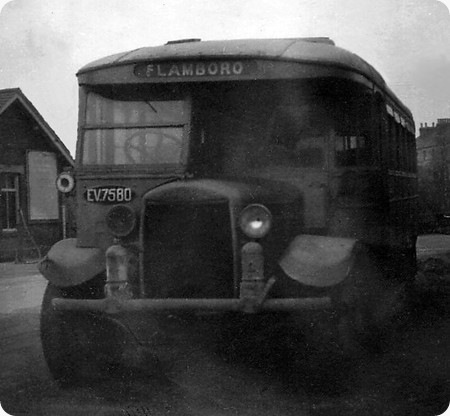 It was painted in the livery of Borough Bus Services, whose fleet it later joined. Always prone to problems it remained the only 163DOT built. All three models used the Lycoming side-valve engine, but with a slightly larger 37.2hp capacity than previously used. The 168OT and 168SD proved very successful, owing largely to their greater seating capacity. The Gilford Motor Company Limited was, by now, a public company, and the profit for the year amounted to around £40 000, out of which a dividend of 33% was paid on each of the 280 000 shares of 5 shillings held in the company. As it turned out, this was to be the zenith of the Company’s fortunes. 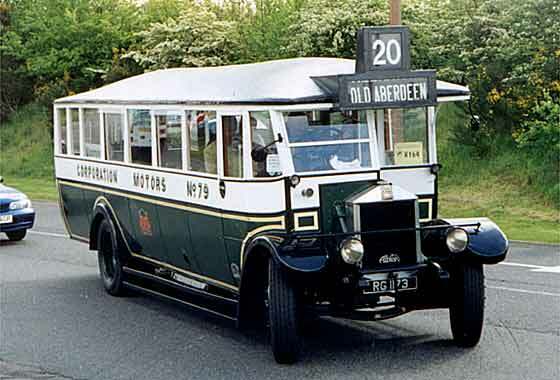 The following year, 1930, the AS6 was introduced as a replacement for the CP6, with seating capacity of around 20 passengers. 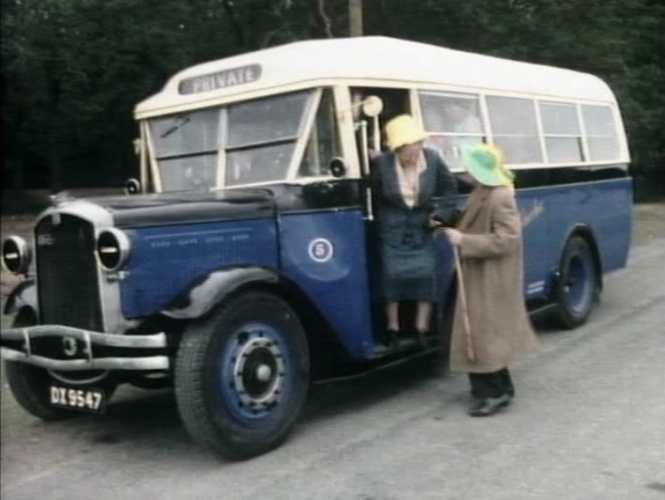 The vehicle was lively and reliable and quantities were sold, particularly to rural bus operators who required a small capacity coach chassis. For the first time, Gilford introduced a chassis specifically designed for goods work, designated the DF6 it, too, sold in quantity. 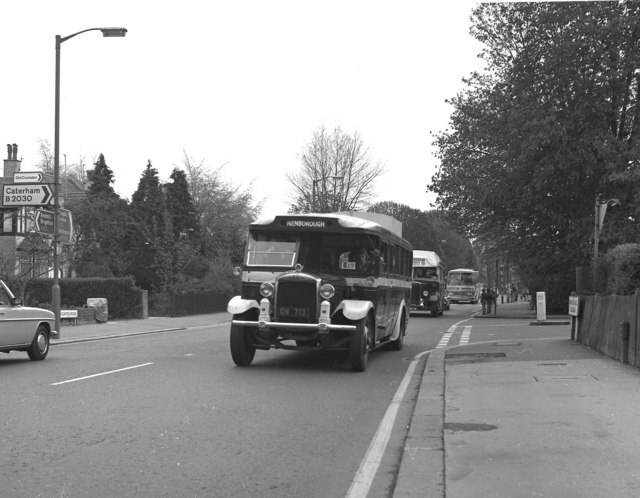 Throughout 1931 the 168 models continued to be produced, and another new type, the 168MOT was introduced. The ‘M’ stood for Meadows; the first British engine used on a Gilford chassis. Sadly, the engine proved unreliable and was often replaced after a few months in service. This led to the model’s unpopularity and it was discontinued by the year-end. 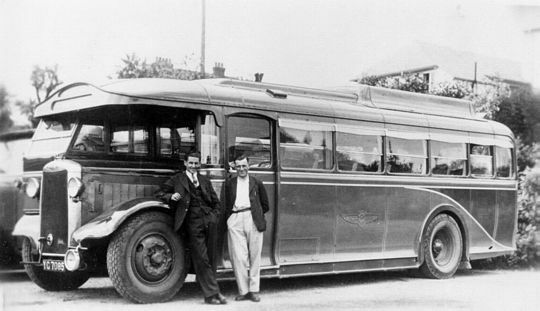 At the 1931 Olympia show, Gilford unveiled, for the first time, the double-deck version of the front-wheel drive bus that they had spent literally thousands of pounds developing. It resulted in an extremely low height vehicle, which stood just 12ft 11ins high, with the normal centre-gangway. 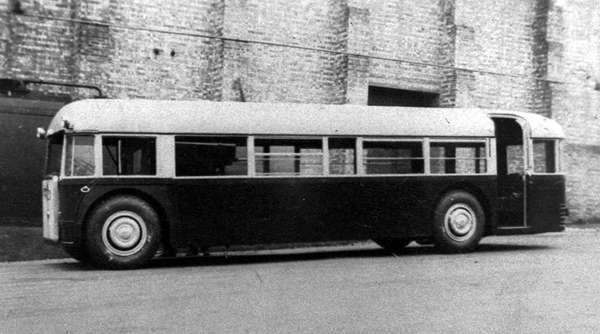 The chassis frame was dispensed with altogether and the strength of the bus was contained in the structure of the body. The body was constructed by Wycombe Motor Bodies and this, and a front-wheel drive single-deck vehicle exhibited at the same show, were the only two metal-framed bodies built. Despite the advanced design and the amount spent developing them, there were no prospective purchasers, and this in part was responsible for the downturn in the Company’s financial position towards the end of the year, with a loss of over £28 000 being registered. 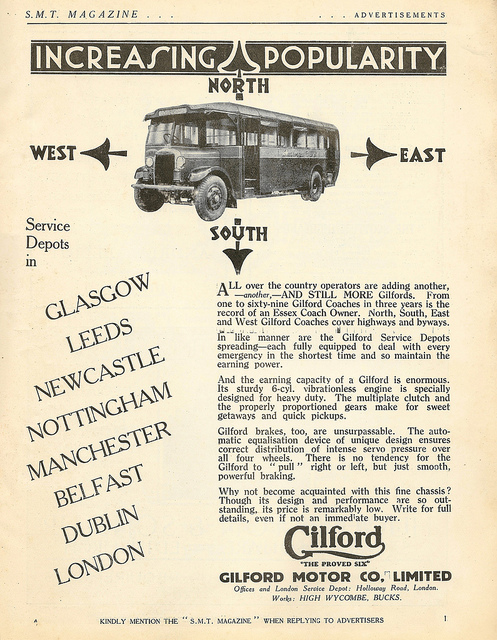 By 1932, other manufacturers were eroding the Gilford passenger chassis market, and with limited finance, Gilford turned its attention to developing vehicles for the goods market. 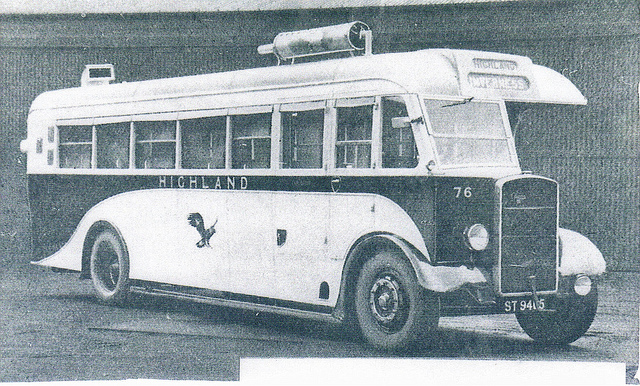 Another double-deck chassis was shown at the Scottish Motor Exhibition in November 1932. 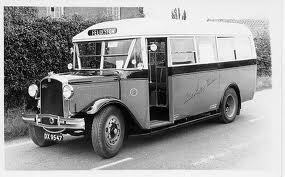 Named the Zeus, it was officially classified 163D (16ft 3ins wheelbase Double-decker), and was equipped with a Vulcan 45.02hp petrol engine – the ‘Juno’. 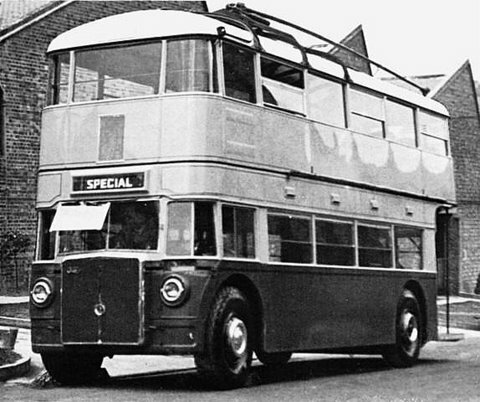 The prototype front-wheel drive double-decker was converted into a trolleybus for experimental purposes, with electrical gear being substituted for the engine, but otherwise basically unaltered. 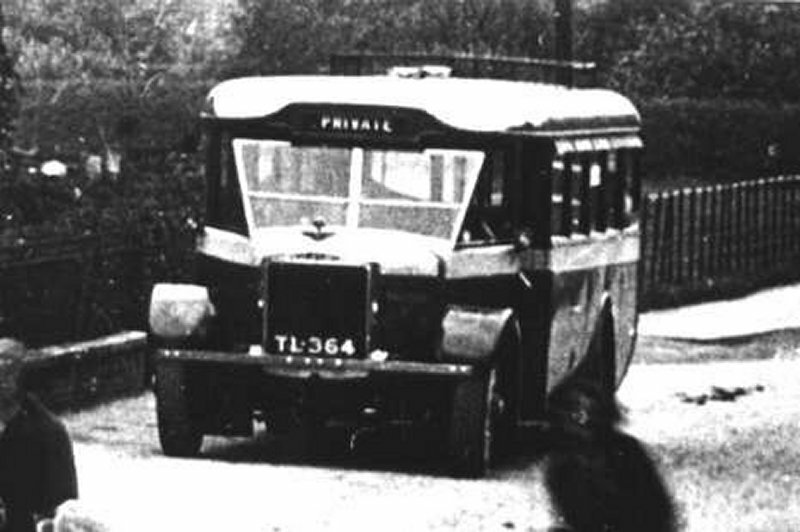 Although no customers were forthcoming for the trolleybus, at least it did operate in service for a short while, on loan to Wolverhampton Corporation in November and December of that year. 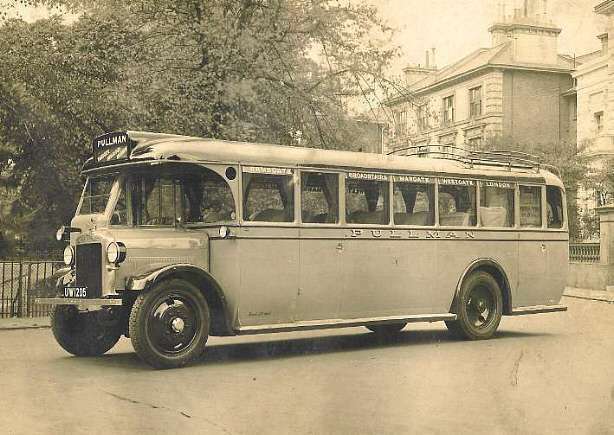 Despite an enormous amount of publicity and being well received by the technical press, the Zeus once again failed to capture the passenger chassis market, although another newly introduced chassis – the ‘Hera’, designated 176S (17ft 6ins Single-decker) sold fairly well. This, however, did little to revive the Company’s fortunes, and in 1933 it was announced that the High Wycombe works was to be sold and the Company was to move into a much smaller factory in London, known as Brentside Works. Sales did no better in 1934, when two orders from Western SMT for 40 vehicles represented 40% of the total annual output, and by 1935 output was little over 1 vehicle per week. On the 29th November 1935 the company went into receivership, with liabilities of over £21 000 against assets of just under £6 000, which when the issued share capital of £100 000 was taken into account made the total deficit over £116 000. 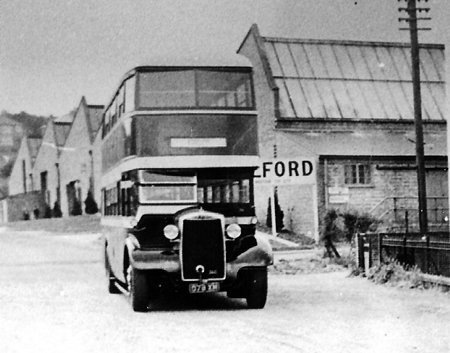 On the 31st December 1935 the Company was wound up and the Gilford Motor Company passed into history. 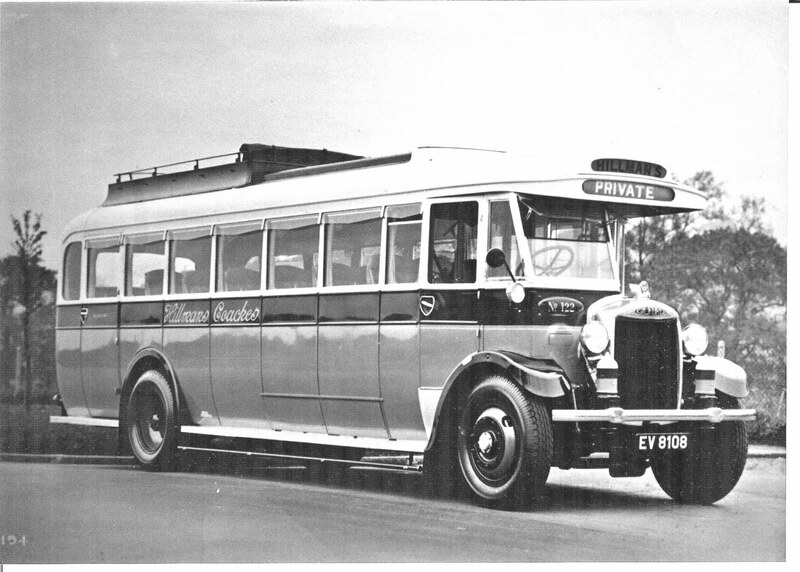 The main reasons for the Company’s failure were outlined at a meeting on the same day and included the high costs of developing the front-engined bus chassis; the high proportion of bad debts incurred by the Company (Gilford chassis were often sold on deferred-payment terms and in the cut-throat coach business of the thirties smaller operators who purchased these vehicles were unable to pay, which resulted in many of the chassis being re-possessed); and lastly, the formation of the London Passenger Transport Board, which took away many of Gilford’s best customers, and indeed, the fleet of over 200 Gilford’s inherited by the LPTB made them the largest ever operators of Gilford vehicles. That was all I could find. like yoou wrote the book in it or something. I think hat you coul do witth a few % to pressure the message home a bit, however other than that, this is excellent blog. anyone who employs it, like me. Keep doing what you’re doing – definitely i’ll check out more posts. Appreciating the amount of time plus fuel you put to your web site and in depth data your present. same from time rehashed suggestions. Great study! Hallo, woplte nuur sagen, mochte Diese Artikel. Es war inspirierend lustig. time here at net, but I know I am getting experience daily by reading such pleasant posts. This is relly interesting, You’re a very skilled blogger. Greetings from Florida! I’m bored att work so I decided to check out your site on my iphone during lunch break. I love the information you provide here and can’t wait to take a loook when I get home. That iis really interesting, You are an excessively professional blogger. wirklich sehr schön gute Stück zu schreiben auf den Aufbau neuer Webseite. blog, particularly in its discussion. I guess I’m not the only one having all the enjoyment here! Furthermore, The contents are masterwork. you have performed a excellent activity on this matter! Very useful info specially the ultimate part 🙂 I deal with such information a lot.